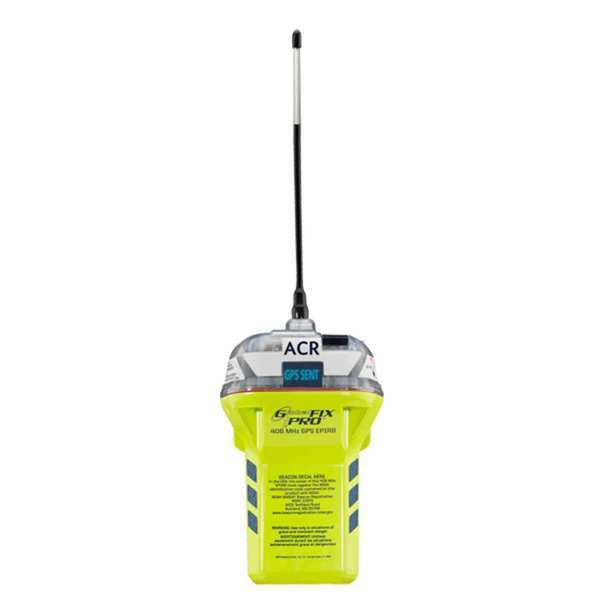 This EPIRB is a breakthrough product that boasts a digital display and dual GPS technology. Digital Display: GlobalFix™ iPRO sports a digital display that allows you to see all of the beacon's operational activities. The screen displays GPS LAT/LON, operating instructions, usage tips, transmission bursts as well as battery power. Dual GPS Technology: The GlobalFix™ iPRO is also the first EPIRB that offers Dual GPS Technology. Interface your iPRO to your onboard GPS to ensure that your LAT/LON is stored inside so the coordinates are transmitted in the first data burst. iPRO's internal GPS is optimized for cold starts and is tested and refined at ACR's GPS Simulation Center so that it will pinpoint your exact location faster than standard GPS enabled EPIRBs. Weight (Beacon Only): 20.5 oz.